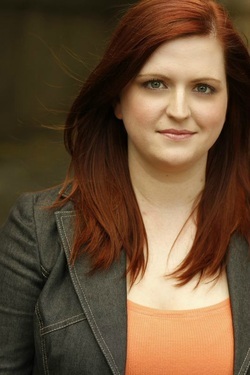 Diann Gogerty studied acting at Palm Beach Atlantic University and the University of Alabama at Birmingham. While living in Alabama she performed for Theatre Downtown, South City Theatre, Terrific New Theatre and many others. Favorite roles include Frau Schneider in Cabaret (UAB), Kathy in Vanities (TD), and Sheila in An Inspector Calls (SCT). She has also appeared in many films for the Sidewalk Film Festival Birmingham including Pickle! and Darkness on the Edge of Town. She made her New York debut at the Looking Glass Theatre playing Anna in Anna's Perfect Party and the Magician's Marvelous Mistake, where she met Melissa Malone and they have been making films together ever since! Her favorite tale is Peter Pan.